During 2015, Rockweiler Insulation was honored to become an Owens Corning Certified Energy Expert. This is a distinction given to a select group of insulation companies, ensuring that new home builders they receive the best technical knowledge, service and warranty available in the industry. 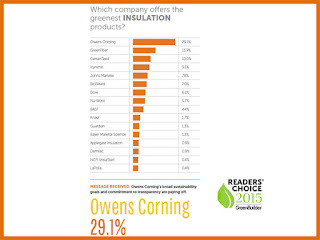 We have more great news to share about Owens Corning! 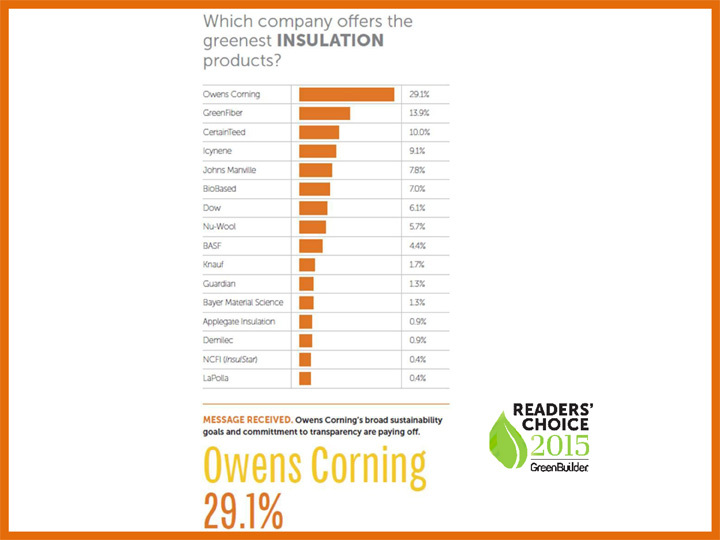 They have been named the #1 insulation brand* preferred by building professionals according to Hanley Wood's Builder Magazine and Remodeling Magazine Brand Use Studies as well as the 2015 Green Builder Media's annual Readers' Choice survey. 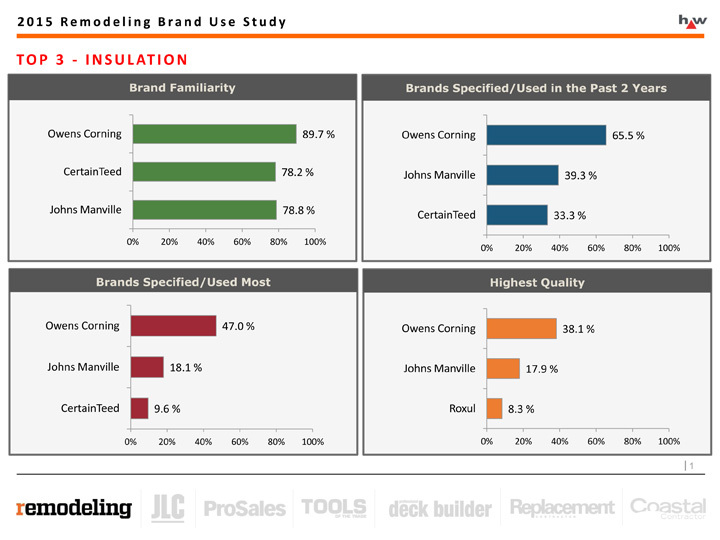 These results arise from three independent industry surveys that are conducted annually among builders, contractors and remodelers to capture and track brand preferences across categories in the building materials industry. 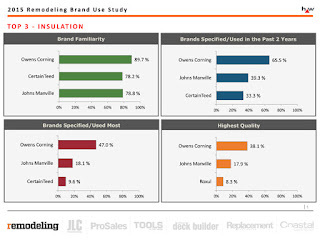 Owens Corning swept all four insulation categories in Remodeling's 2015 Brand Use Study, ranking first among remodelers for Highest Quality Brand, Brand Familiarity, Brand Used Most in the Past Two Years and Brand Used the Most. For more about Owens Corning’s products or our Certified Energy Expert designation, contact our office! *1998-2014 Build Brand Use Study, Hanley Wood Business Media. Air sealing is a vital part of saving energy and saving money. Air sealing around windows and doors, in attic penetrations and more helps heated and cooled air stay inside the home. By closing the gaps that leak air you keep already conditioned air (air you’ve paid to heat or cool) inside your home. Think of air sealing like closing a window before running air conditioning – why condition the interior air if you are going to let it sneak out through a gap in your home’s envelope? Follow this link for more about air sealing or check out our air sealing video.